Resene donates recycled paint, known as Resene EchoPaint, to community groups for their activities. If you’re part of a community group that needs paint, click here to find out more and apply. Bring unwanted paint and paint containers into your local Resene ColorShop and let us recycle or dispose of them responsibly. Resene will offer good quality Resene paint to community groups for reuse, recycle packaging materials that are recyclable, send solventborne paints to solvent recovery, find alternative uses for waterborne paints, such as graffiti abatement, and dispose of the rest for you. Selected Resene ColorShops have been designated as Resene PaintWise Collection Centres. Drop off your unwanted paint and paint containers to any of these designated Resene ColorShops at any time during their opening hours. You are welcome to bring back any brand of decorative paint. A small charge applies to non-Resene branded product to help offset the costs of the PaintWise programme (25c per litre). Find out more about the PaintWise levy. Trade customers – recycle your empty Resene pails free at these ColorShops. 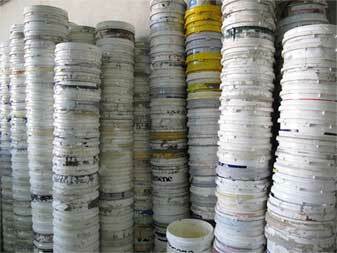 Resene pails are recycled into more Resene pails. Trade customers – from 1 September 2018, the Resene PaintWise service will be changing. Trade customers will be charged a small levy on all purchases of Resene paints. From 1 September 2018 trade customers will be able to return Resene branded paints with no return fee. Non Resene products will continue to be charged at 25c per litre. View Resene PaintWise acceptance list. Due to safety requirements, paint and paint containers will only be accepted at these Resene ColorShops during normal store hours. Sorry, paint and packaging returns cannot be accepted by any other Resene ColorShops. Ensure paint is in its original correctly labelled container. Ensure containers are well sealed and will not leak. Leave small amounts of waterborne paint in its container, put out of reach of children and leave the lid off for the paint to dry then bring it in to one of the Resene ColorShops detailed above. We cannot accept: Aerosols or any other materials - contact your local council for recommended disposal. We can only accept automotive and marine paints made or sold by Resene Group companies. 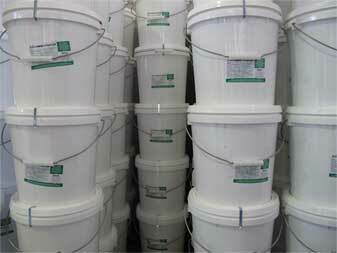 Resene Automotive and Light Industrial also provides a paint and paint recycling programme in Resene Automotive stores. Products made or sold by Resene Automotive can be returned to any Resene Automotive store. Please note acceptance criteria differs from the Resene ColorShop PaintWise service. See your Resene Automotive and Light Industrial store for details. 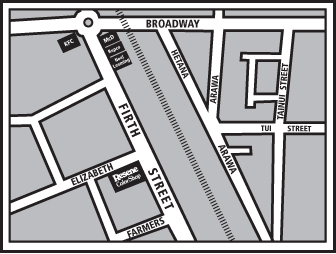 Open: Mon-Fri 7.30am-4:30pm. Opening hours may differ during holiday periods and on public holidays - please check with the store for opening hours. Open: Mon-Fri 8.00am-4:30pm. Opening hours may differ during holiday periods and on public holidays - please check with the store for opening hours. Open: Mon-Fri 8.00am-5:00pm. Opening hours may differ during holiday periods and on public holidays - please check with the store for opening hours. The Resene PaintWise programme is managed by the Resene Foundation, a charitable trust underwritten by Resene. The ongoing service is funded by Resene, a PaintWise levy of 15c per litre on retail purchases on Resene paints and a levy on returns of non-Resene branded paint and trade returns. The Resene PaintWise service has collected in over 3 million packs already. Of this over 400,000kg of steel has been recycled and over 200,000kg of plastic. Over 500,000 litres of solventborne paint has been sent to solvent recovery and over 250,000 litres of paint has been donated to cover graffiti and other community projects. View Resene PaintWise service questions and answers. View Resene PaintWise brochure. You will need Acrobat Reader. Find out more about how Resene PaintWise began. 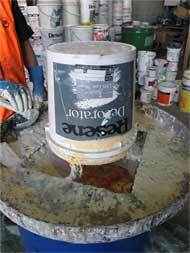 Find out more about PaintCrete and Glasscrete – combining waste paint and concrete. Find out more about steel can recycling. The Resene Foundation’s PaintWise product stewardship scheme was accredited by the Ministry for the Environment under the Waste Minimisation Act 2008 in August 2011. Just one of the many projects helped with Resene PaintWise EchoPaint donations. Turn your empty pails into endless hours of entertainment for children – pails make great drums! Do as the Stand up for Children team did and make the most of your leftovers by painting a colourful fence or recycled tyres for a garden feature.